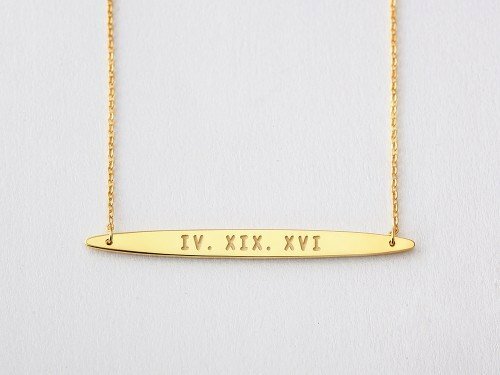 Unique & modern, this sterling silver roman numeral bar necklace is beautiful worn layered with any necklace of your choice. 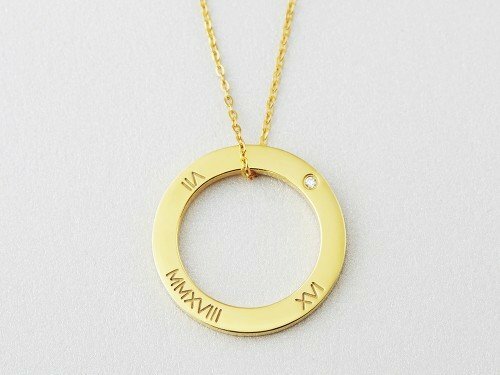 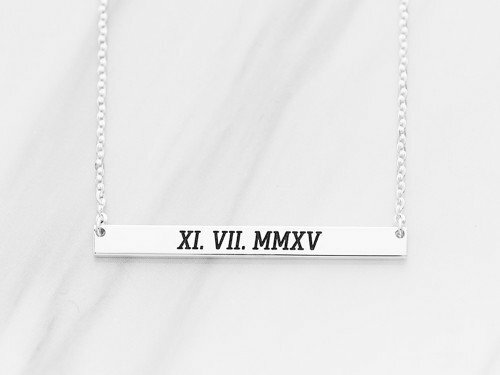 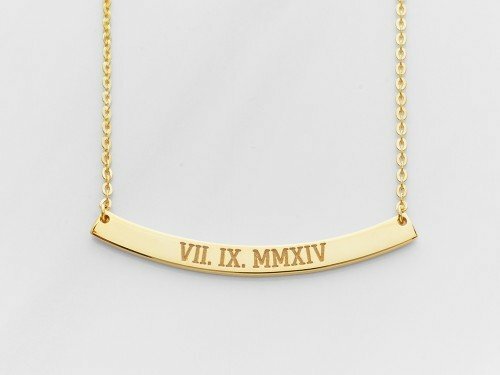 Roman numeral jewelry is a subtle, hidden reminder of your special relationship. 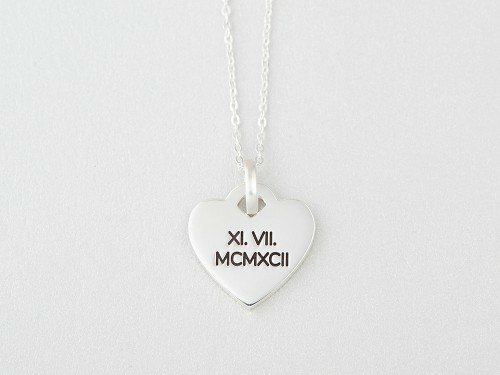 Personalize it with your wedding date or first date for a thoughtful anniversary gift. 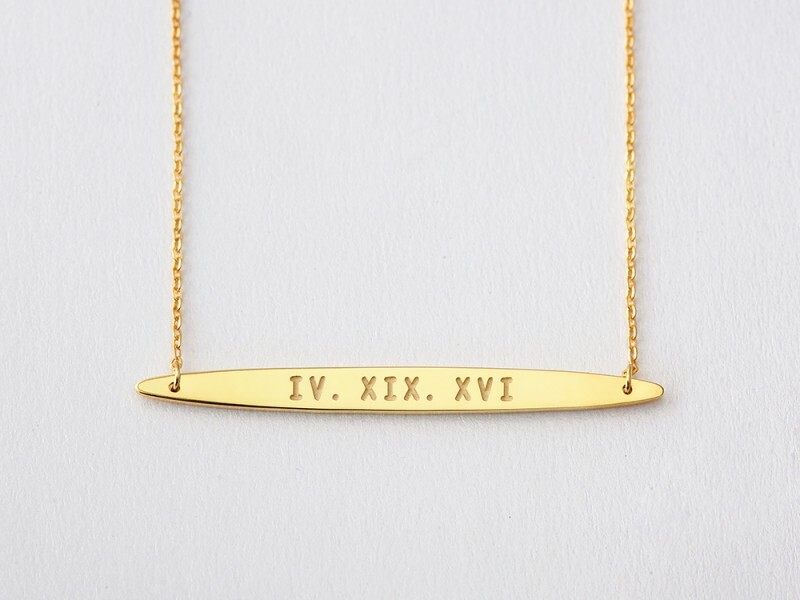 Measurements Bar pendant measures approx. 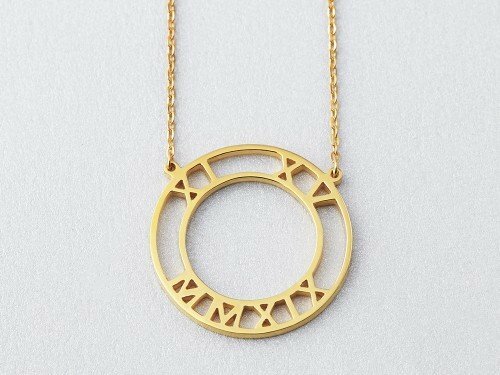 1/8" x 2" (4 x 50 mm).